Surrounding units were evacuated while the fire was attended to. 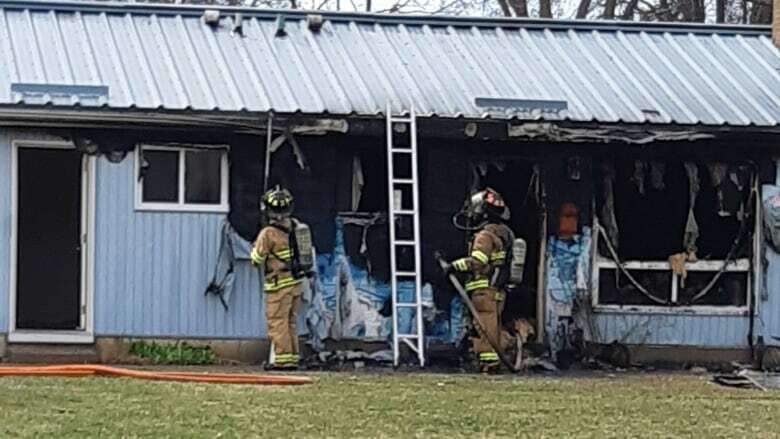 Sarnia police have one man in custody after an arson Friday. Officers were dispatched for a welfare check Friday afternoon at a complex on Kathleen Avenue. They noticed a broken window and then saw black smoke inside the residence. Police breached the door out of "concern for safety" for anyone who might have been inside, said the service. Witnesses told police a male was seen running from the unit and arrested a suspect without incident. He is charged with one count of arson for disregard of human life, four counts of arson for damage to property and with violating probation. He remains in custody awaiting a bail hearing. The person police were checking on was found safe and was not home at the time.